Getting Cold Feet: Can You Withdraw Your Bankruptcy Petition? Many debtors are nervous about filing for bankruptcy, so it should not be surprising that some try to back out after having filed their bankruptcy petition. But is this possible? Actually, it depends on which bankruptcy you file, as well as your reasons for wanting to withdraw the petition. In a Chapter 13 bankruptcy, you enter into a 3-5 year payment plan, and debts are only wiped out after you complete the plan. Fortunately, a Chapter 13 explicitly provides for voluntary dismissal. This means you can get out of the bankruptcy at any time before you complete your plan. However, whether you should dismiss a Chapter 13 is a different question. Before pulling the plug, carefully consider how you will be affected. It might be possible to adjust your payment plan or request a conversion to a Chapter 7 liquidation instead. Carefully consider all options with your bankruptcy attorney before requesting a dismissal. Things are more complicated with a Chapter 7. In a Chapter 7 liquidation, the trustee can sell certain non-exempt property and use the proceeds to pay off your creditors. Many debtors suddenly want out of the bankruptcy when they realize that they are about to lose important assets, such as investment property or their vehicle. Unfortunately, the trustee does not automatically have to release you from the bankruptcy proceedings. Instead, the trustee will consider whether you have non-exempt property and whether creditors will be negatively affected. Generally, if you are trying to withdraw to keep the trustee from selling property, then the trustee will not grant your withdrawal. Conversely, if all of your assets are exempt, the trustee might let you withdraw since no creditor will be negatively affected. However, the trustee does not have the final say—the judge does. Section 707 of the bankruptcy code provides that a judge should hold a hearing where you can argue you have “good cause” for requesting a dismissal. You will also need to show the judge how you will pay back your creditors. The bankruptcy code does not define “good cause,” but it must be something more than a sudden realization you don’t want to lose property. For example, a sudden medical emergency after filing might qualify. Because you incurred bills after filing, they won’t be included in the bankruptcy. A judge might let you withdraw so you can file later. 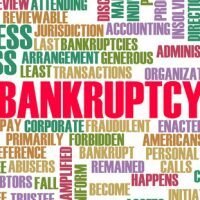 Many people trying to withdraw a bankruptcy petition did not fully analyze the consequences of bankruptcy before filing. When our clients meet with us, we perform a full, 360-degree review of their financial situation so that they understand what property the trustee might sell. Because our clients are so well prepared, they rarely request withdrawing their bankruptcy petition but instead complete the bankruptcy in an orderly fashion. For more information about whether a bankruptcy is the right option for you, please contact Nowack & Olson today. Our team of South Florida bankruptcy attorneys is prepared to help you find financial freedom.